If you've been inside CJ Account Manager lately, you've probably noticed the new publisher Home tab our product and engineering teams recently deployed. They will be making additional improvements to the new Home tab in the coming weeks, so be sure to use the feedback button to provide them with any feedback or suggestions you may have. For those of you who haven't been inside CJ Account Manager lately—tisk, tisk. Chances are you haven't been making the most of the Valentine's Day holiday with top performing Valentine's Day advertisers. Lucky for you we're covering some "Top Advertisers You May Have Missed" in this week's CJ Pulse! Gorjana & Griffin is a socially conscious lifestyle brand that makes fashionable, high quality products for men and women. 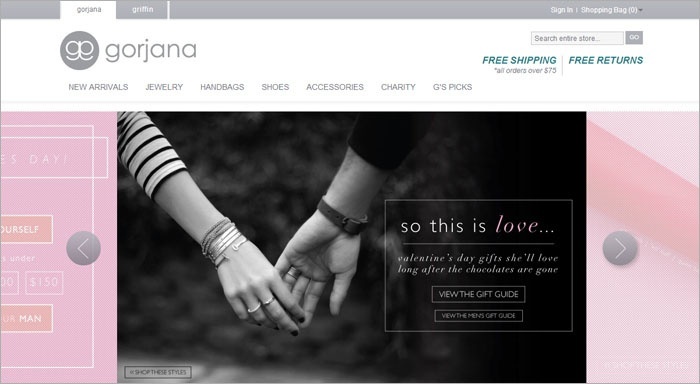 Offering opportunities for giveaways, gifts with purchases and amazing offers, Gorjana gives fashion-focused affiliates the insider exclusives! Contiki is the worldwide leader in tours for 18-35's. Offering an unbeatable mix of sightseeing and culture in over 40 countries across 6 continents, we create hassle-free vacations for like-minded people who share a passion for discovering amazing places. Justice celebrates everything "tween girl" through an extraordinary experience of fashion and fun. Backed by the brand recognition of more than 900 retail stores, ShopJustice.com extends that experience online for your visitors. For over 55 years, WesternWear by Sheplers has provided customers with western clothing and accessories that enhance personal style while providing great value and service. Sheplers specialize in cowboy boots, hats, jeans and western fashion for the whole family.